The first nail art of 2015! As I've mentioned recently I'm getting more and more into nail varnish and nail art and so this year I want to feature a lot more nail art on my blog. Last year I lacked inspiration and just didn't attempt much, but now I'm a complete Pinterest addict (you can find me here) I have plenty of inspiration! 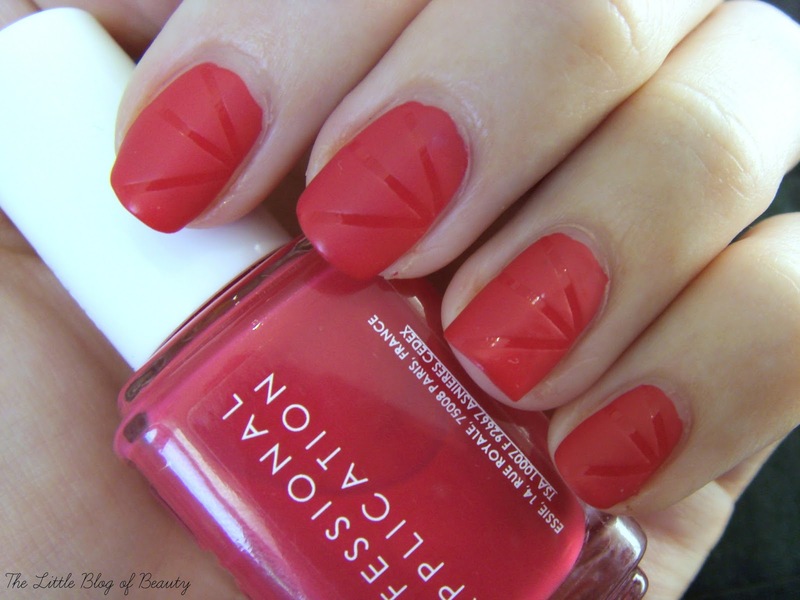 As I said in my last post I did some nail art using Essie's Watermelon, and here it is. I apologise if you can see any dry skin around my nails. I hate pictures of nails with nasty skin around them but I'm struggling so much at the moment. No matter how much moisturiser or cuticle oil I apply they just don't seem to get any better or it doesn't last long. I'm seriously considering just wearing gloves permanently at the moment. If you have any suggestions please let me know! This is based on a simple look I came across on Pinterest just using gloss/matte to make an effect on the nail. 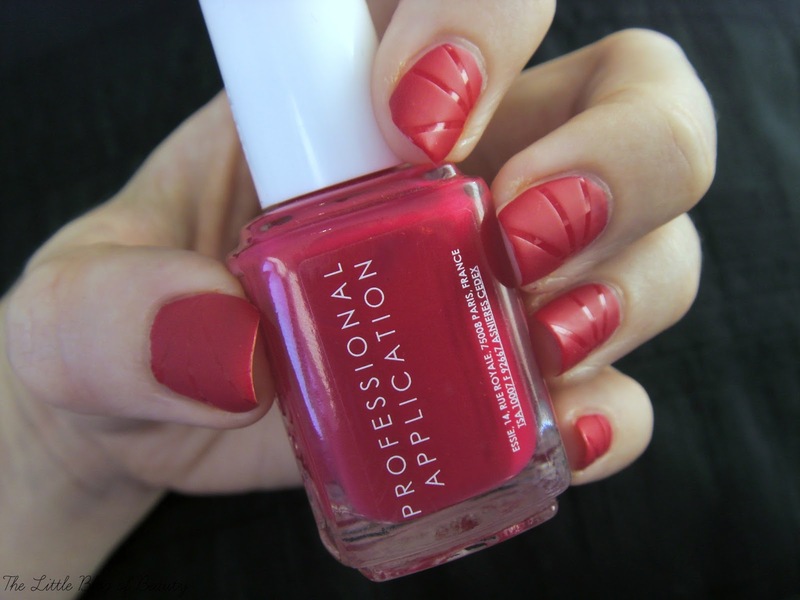 All I did was apply my base coat followed by one coat of Watermelon (the 'one coat wonder') and then a glossy top coat. I then applied three pieces of stripping tape across each nail, painted over the whole nail with a matte top coat, and then removed the tape before this dried. 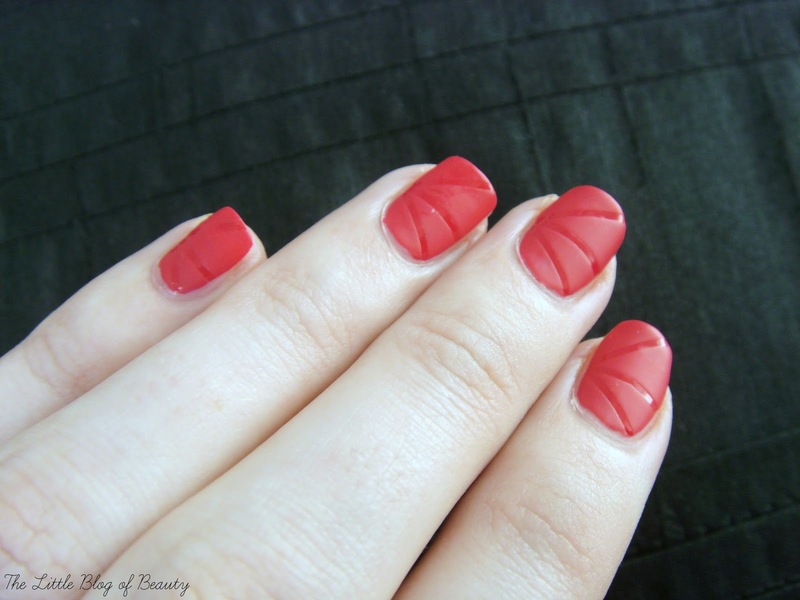 The stripping tape blocks the matte top coat leaving behind glossy lines. I wasn't sure what to call this one (I do like to name my nail art) but I thought the glossy lines against the matte looked slightly like laser beams so went with laser nails. It's not the easiest design to see, unless the light catches on the glossy lines, so it's quite a subtle look if that's what you want to go for. Absolutely love these!! so subtle! I have Essies watermelon so I am going to have to give this a try! I love how simple yet effective this design is. The colour is gorgeous too! This is amazing and so creative and I love the color you choose as well.